Long before you have decided to get married and have a baby, you hoped to have a gifted kiddie you’d be proud of,right? So now that you’re in the actual stage of this challenging yet fulfilling endeavor, you wonder if smart children are born and not made. Well, let me tell you that the power to raise an intelligent child lies in you and your partner’s dedication to do your part as responsible parents. Notice how I used gifted, smart, and intelligent interchangeably. These three words all mean the same thing, referring to being exceptional and superior. However, in the real world of child rearing, gifted is more of talent, smart of cleverness and wit, and intelligent is of academic performance. While gifted children are born with their unique talent, and smart children successfully acquired cleverness and wit through experiences, intelligent kiddies owe it to their parents. Here are ways on how to raise intelligent children you’ll surely be proud to call your living legacies. According to research, kiddies who read develop a lifelong interest in the activity, enabling them to do well in school and succeed in adulthood. Start reading a story to your toddler every night until they learn to read on their own. Other than giving your kids a good impression about reading, it also serves as a head start to develop language skills. In today’s world of modern technology, you can give your kiddies their portion of innovation with tech products that serve as aids for reading. Opt for one preloaded with apps that feature the perfect approach to kids of all ages. Search the web for e-learning gadgets available in the Philippine market. Praise your child’s efforts to study and learn instead of paying too close attention to their inborn gifts. If you do the latter, they’ll tend to choose easy tasks and avert any challenge that can damage their reputation of being smart. Challenge is crucial and they need it to grow, along with failing every now and then. Failing, on the other than hand, shows that a person sets goals that are high enough. Your kiddie needs to experience both so as to achieve anything worthwhile in life. After praising your kiddie’s effort, don’t forget to reward them with a healthy gift (such as favorite food or school item) whenever they have new achievements from learning and studying hard. In a report published last year in Perspectives on Psychological Science, a journal of the Association for Psychological Science, experts mentioned that the first effective way to boost child’s intelligence is by supplementing their diet with fish oil. In infancy and childhood, the amount of the Omega-3 DHA or fish oil is closely tied to intelligence and cognitive performance. Do your job as a responsible parent by giving your kiddies meals with great amounts of fish oil more frequently. In addition, provide your kids with vitamins perfect for their age, fresh fruits with every meal if possible, and vegetables for more balanced and intelligence-boosting meals. Let your kids out of the house to play. More than developing social skills as they play with other kiddies, it also promotes foundation for intellectual, physical, and emotional skills. They will learn to combine impressions, feelings, and ideas. Play is also a great way to exercise and increase blood flow to the brain to build new brain cells. It helps develop mental sharpness other than strong bones. In this age of technology, your child may prefer to stay inside the house to play video games or log in to social media over any activity. As parents, it is your responsibility to regulate their tech use by monitoring daily activities and setting a good example. Doing this will also instill self-discipline. Furthermore, explain also that technology and devices were invented to improve life for everyone, not to encourage children to depend on it in any unhealthy way. For balanced learning and holistic development, teach your child to allocate time to physical and e-learning activities. 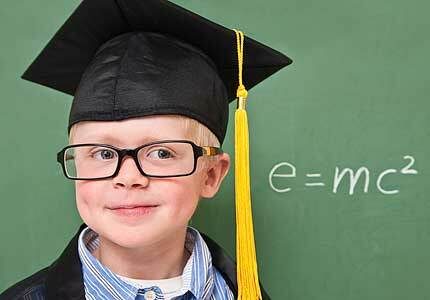 Kiddies can be gifted, smart, intelligent, or all of these three. Intelligence, however, is the only one completely dependent on how you perform as a parent. Cling to the passion and dedication you have, follow the guidelines mentioned above, and raise intelligent kiddies who will be worth all the effort you’ve invested.